I am familiar with and admire the scholarship of three of the faculty members pictured above: Dan Markel, Steve Johnson and Reid Fontaine (also a law school classmate — he was smart from Day 1, I can attest). My casebook co-author, Joseph Dodge, is a member of the Florida State faculty and he’s a tax rock star. So there are lots of great things happening at FSU, to be sure. 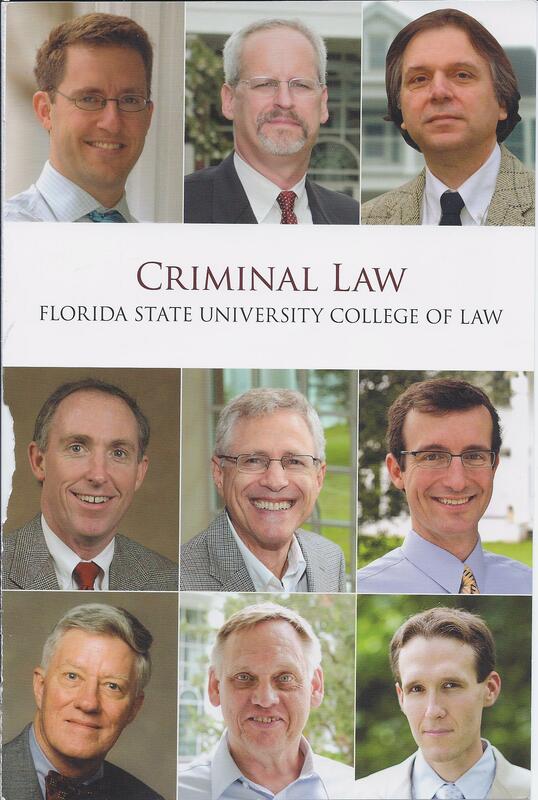 But the marketing decision to make this the cover of the school’s “Criminal Law” promotional brochure? Not so great, IMHO.